Our website care plans include the free support you need to succeed. 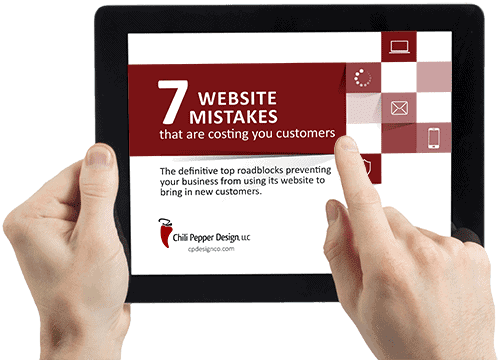 To get the best return on your investment and effectively market to your customers, your website must be properly maintained. Our website care plans offer the levels of service to give you peace of mind, support where you need it and expertise to help improve your website to grow your business. On average 37,000 websites are hacked every day and 74% of those are on WordPress. That’s why we take security seriously. We’ll take care of your website’s visitors. A hacked website can wreak havoc on search rankings and will have a negative impact on your reputation if your customers notice your broken site before you do. We can stop your website from being hacked, and a lot more. Our Website Care Plans give you the secure hosting solutions you need so you can focus on your business. Did you know that everyone needed an SSL certificate as of January 10, 2017? Google is now penalizing those websites that are not HTTPS protected (SSL protected) with the green padlock. But you don’t need to worry, because when you are on one of our Website Care Plans and hosting with us, you will receive a free SSL certificate for use on your website. Do I need a Web Care Plan? The Internet can be a dangerous place with people trying to hack websites all the time. Software needs updating. All software. Including the software that powers your website. While WordPress has the ability to automatically update, the majority of the compromises are coming from plugins, not its core. Staying on top of the latest updates and keeping your site on a secure server will help to keep your business and customers safe. It’s the nature of the world we live in and unfortunately websites are an easy target. If you want your website properly maintained, then Yes, you need a Web Care Plan. If we don’t take care of your website, who will? Here are some really great reasons why you’ll love us. Managed website hosting forms the foundation for all of our website care plans and is, in essence, insurance against hacking and technical issues. Your site will be protected by a suite of security enhancements that help block unwanted access, keeping your customers safe and secure. It’s not a matter of if you’ll need your backups, but when. We will generate secure daily backups so your site can be restored quickly if anything goes wrong. So whether it is a simple question like how to edit a page, a marketing or technical question, we’re here to help. We will give you advice to enable you to carry out the work yourself, or a quote if you want us to do the work for you. There are so many different factors involved in keeping a website secure. We will regularly carry out security scans in order to keep out intruders and make sure your website stays safe. Peace of mind that all your website software is up-to-date. Security updates and new features come out regularly for your website’s software. NOT doing this is the No.1 reason websites are hacked. We’ll send you a simple analytics report that is easy to understand and summarizes numbers and trends. Keep track of how your keyword ranking changes, and get a comparison to your competition. We’ll regularly suggest ways to improve your website and Internet marketing. Without this your online presence may stagnate. How often do you run updates? Standard updates are run once a month. If there is an important update that would prevent a security issue, it will be addressed right away. No we do not. Our support hours are 9 am – 5 pm EST, Monday through Friday. That being said, if there is an emergency we will do our best to resolve the issue outside of standard office hours, if possible. Payments will be automatically deducted on the first of the month. Payment can be made using any major debit or credit card (Visa, Mastercard, American Express, Discover) through Stripe. The site is immediately rolled-back to the backup state taken prior to performing the update. From there, you’ll be notified of the issue. The majority of issues are addressed free of cost, however, custom plugins, issues introduced by users, or especially time-consuming issues may be billable. We will notify you before charging anything to your account. Payment can be made using any major debit or credit card (Visa, Mastercard, American Express, Discover) through Stripe. Payments will be automatically deducted on the first of the month.